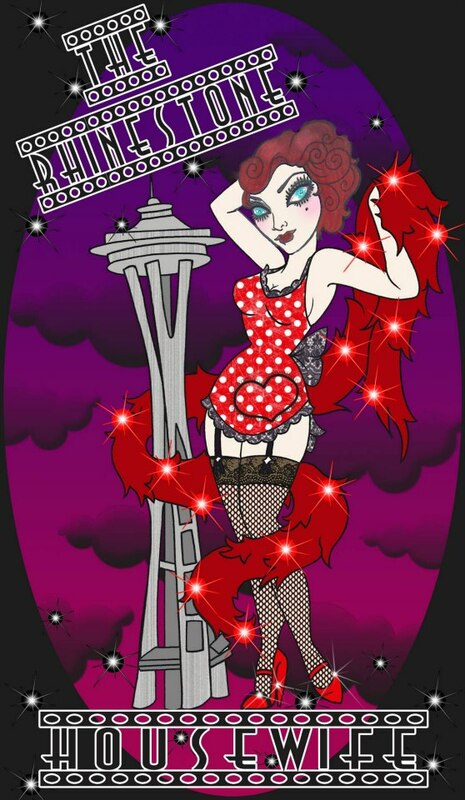 For my hot pick of the week this week I have picked a cult favorite, the hardest soap to keep in stock at The Rhinestone Housewife, Filthy Viking soap by Arcana. When I first opened the shop, I got one lonely bar of Filthy Viking soap, that’s all there was. I decided instead of listing it I’d just keep it for myself as I hadn’t tried it before. Filthy Viking soap is described as: Between the sea voyages and the pillaging, it must have been difficult for Odin’s henchmen to stay fresh. Too bad they didn’t have this fiercely cleansing bar with scrubbing pumice, deodorizing coffee, and the scents of the Viking world: bracing Norwegian juniper and frigid Icelandic mint. Handmade using traditional cold-process techniques in Portland, Oregon, Arcana Soaps are some of the most interesting, wonderfully textured and delightful soaps we’ve ever found. This soap is a gorgeous fresh green with fine pieces of scrubby pumice. It’s everything you could hope for in a viking fantasy….err….soap. This soap is a best seller at The Rhinestone Housewife and it’s impossible (and I mean impossible) to keep in stock! Boys love it. Girls love it. Dogs love it. Ok, I made that last one up but you get what I mean. And before you ask, yes…..we DO currently have some in stock but not much. 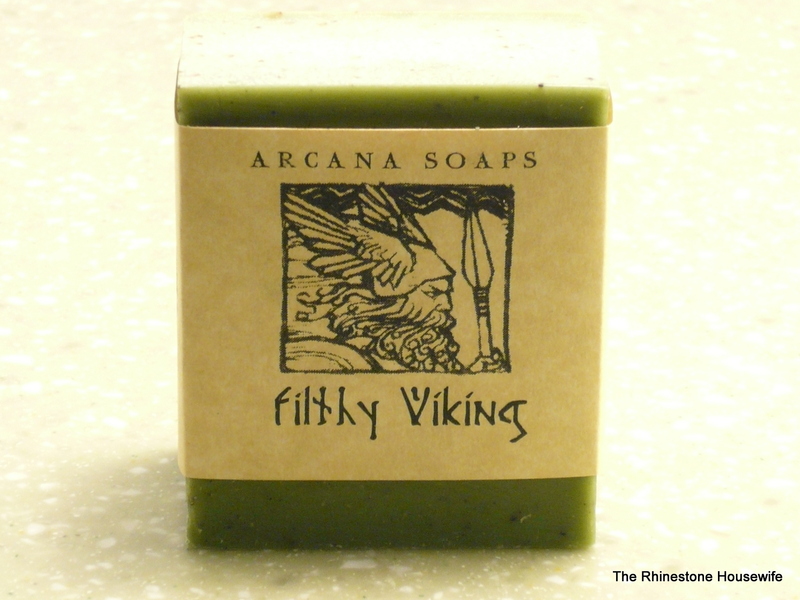 So if you want it…..get thy Filthy Viking soap now before it sells out again! We also have a bevy of other amazingly gorgeous soap crafted by Julia of Arcana Soaps and we’ve got something for everyone….check them out!